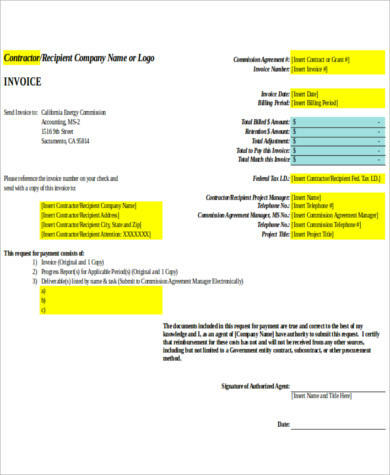 An invoice states the total amount that a buyer has to pay the seller for a given period of time. It provides the details important when a sale is made such as product quantity, cost per unit of item or items purchased, and total amount due for payment. Invoices give a sense of security between a buyer and a seller. Tracking of products or items purchased is easier. 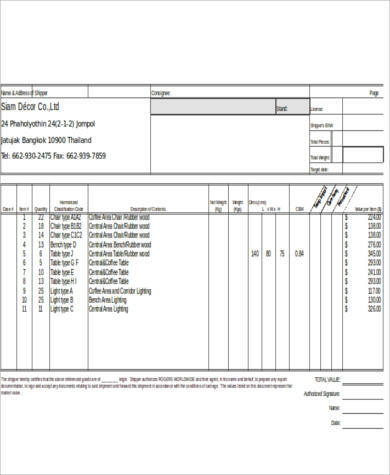 If you are a retail business owner, the Invoice Samples featured in this article will help you issue invoices in a more convenient manner because you can simply enter necessary details needed for the transaction or you can also opt to print these templates ahead. total price to be paid by customer. Efficient invoicing reduces the possibilities of having errors. Keeps track of all transactions, which are vital when it comes to purposes related to accounting and inventory. 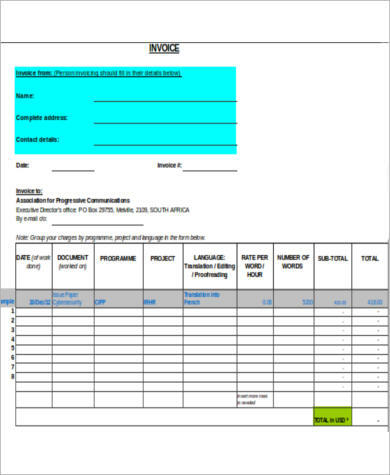 Invoices make business transactions more valid. Gives an impression of professionalism and organization both for small-time and big-time employees. Keeps cash flow constant because of the controlled payment cycle. 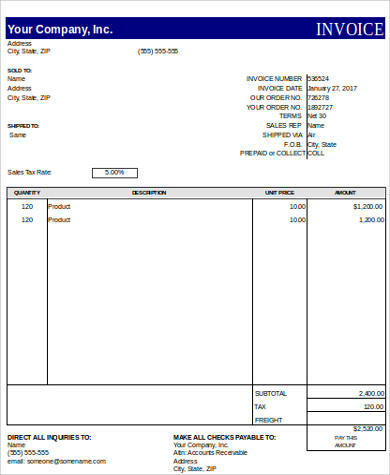 Basically, an invoice serves as a reminder to customers that they have debts to the sellers. No business wants to have delays when it comes to customer payments. A business that can deliver invoices to their customers at a faster pace is assured that payment deadlines will be easily met. This ensures that discrepancies with regards to business finances will be minimized. 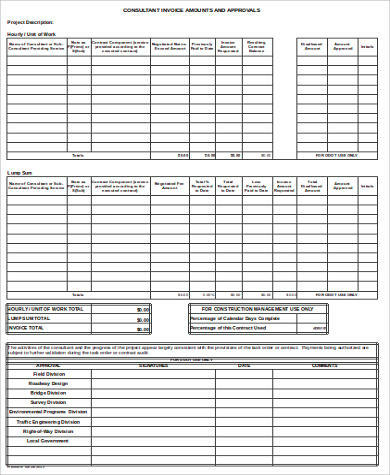 You may also check out Word Invoice Samples and Sample Commercial Invoice for more examples of invoice templates. 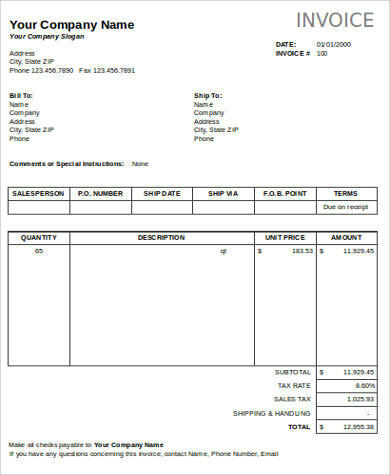 The invoice samples are in Excel formats. 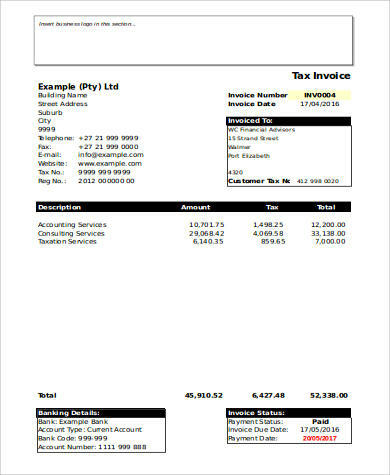 With this, you can input formulas in particular cells to make it more convenient to compute the total and print the invoice. 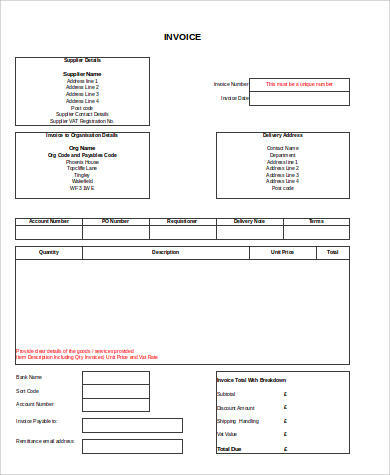 These templates make it more convenient to issue invoices because of its simple format. You can choose one that you think would best suit your business and edit it according to your preferences. Invoices serve a variety of functions both for the customer and the seller. For business owners, it makes tracking of the items more convenient while for the customers, in cases of discrepancies and disputes when it comes to a product or item sold, they can file a complaint or be able to settle these problems easier. 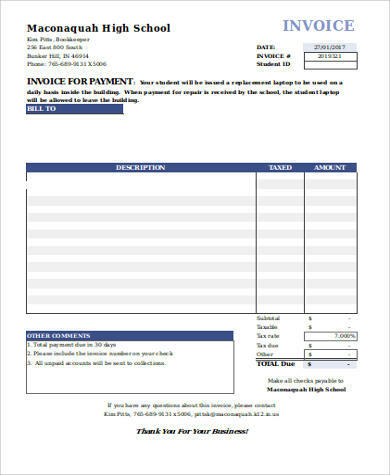 You may also prefer to use Blank Invoice Samples.